Anthony Clark is an American comedian and actor. 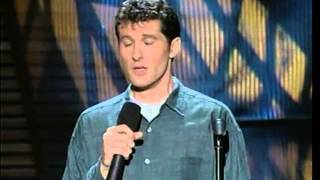 He began his career on stage using self-deprecating humor, winning the Top College Comedian Award in 1986. He bounced around on various television series, including Ellen, Boston Common and Soul Man. He is perhaps best known for playing the husband on the series Yes Dear (2000-2006). Actor, comedian. Born Anthony Higgins Clark on April 4, 1964 in Lynchburg, Virginia. A graduate of Boston? ?s Emerson College, Anthony Clark began his career in entertainment as a stand-up comic. His gullible, self-deprecating charm and ability to tap into everyman humor quickly endeared him to audiences. In 1986, he won the Top College Comedian Award from the American Collegiate Talent Showcase.Though Anthony Clark has made a handful of big screen appearances, he is best known to American audiences as a television sitcom actor. He had a recurring guest role on Ellen in the mid-1990s, and then landed a co-starring part in the well-received but short-lived series Boston Common. This was followed by a brief stint as a bumbling minister in the disappointing TV comedy Soul Man co-starring Dan Aykroyd.After disappearing from the small screen for a few years, Anthony Clark resurfaced as the loving but beleaguered husband Greg Warner in CBS? ?s long-running series Yes Dear. He stayed with the show from 2000-2006. During the summer of 2006, Clark also hosted the NBC reality competition Last Comic Standing.